Published 15th December 2013 by Jon Scaife & filed under Misc Hardware. 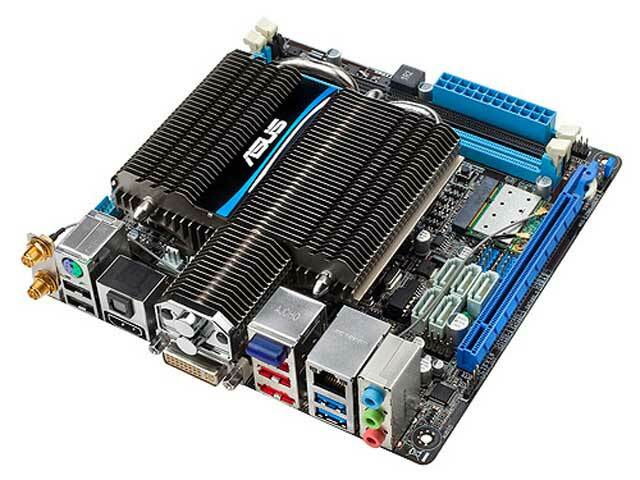 The basis of my main HTPC is an AMD E350 Brazos in the form of an Asus E35M1-M Pro. I had quite a lot of prob­lems with the sys­tem when I first built it, which were caused by issues with the Seag­ate Momentus XT stor­age drive I used. These were fixed a good while ago via firm­ware update from Seag­ate, and since then the sys­tem has largely worked without any issue. About 6 months ago the sys­tem star­ted to exhib­it prob­lems again, occa­sion­ally crash­ing and fail­ing to find the boot device, oth­er times becom­ing slug­gish even with under no CPU usage. These instances were rare enough that I ignored them as I plan to upgrade the sys­tem in the next year or so any­way. In the last 6 weeks or so how­ever the prob­lems got much worse with daily crash­ing. This was prob­lem­at­ic enough to pre­vent reli­able record­ing of pro­grammes and so I had to do some­thing. My ini­tial thought was that there was prob­ably still some kind of freak incom­pat­ib­il­ity between the sys­tem and the momentus XT drive, but whilst wait­ing for a new SSD drive I decided to give the all-in-one mother­board some TLC. To my sur­prise I hadn’treplaced the stock thermal com­pound mater­i­al under the heat­sink for CPU/GPU/Chipset. I removed the heat­sink and cleaned off all the old com­pound with some Arc­tiClean (if you don’t have any I highly recom­mend it!). I then used some Dia­mond-7 com­pound and replaced the heat­sink. Finally, I ripped the “asus” logo off the top of the heat­sink, as this appeared to me to simply restrict all nat­ur­al upward air­flow fro the middle of the heat­sink — redu­cing it’s effi­ciency sig­ni­fic­antly. I then restored the board to the sys­tem and recon­nec­ted everything. To my pleas­ure it booted up cor­rectly, the only mis­take I’d made was to plug the front and rear speak­ers in the wrong way round. Since then I’ve not had a single crash or funny beha­viour — here’s hop­ing the prob­lem was a heat issue caused by badly applied cheap thermal “gunk”. If you’re hav­ing sta­bil­ity issues with any PC sys­tem it’s always worth recon­nect­ing all the con­nec­tions to the mother­board, and repla­cing any thermal com­pound that shipped with the sys­tem.